Its always kind of random when you run into a blogger you follow in the flesh, but that is exactly what happened to me yesterday! 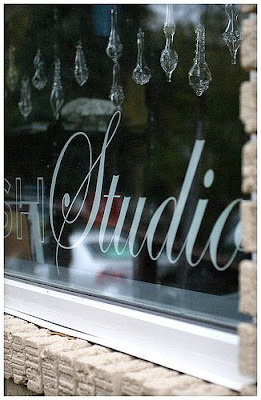 I took a little jaunt down to Raleigh and as my friend and I wandered around Glenwood South (very chichi part of town) we ran across i suwannee's Jamie's shop, Furbish Studio, which does not technically open until today. Jamie's shop is totally adorable! I would highly recommend it for furniture, which is all cheerfully painted and affordably priced. So, if you find yourself in Raleigh-town go check it out!